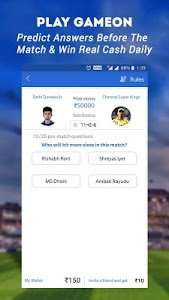 Flikk is an lock screen app that offers live cricket scores & a live news ticker on your lock screen along with opportunities to get free mobile recharge & free Paytm cash in multiple ways. 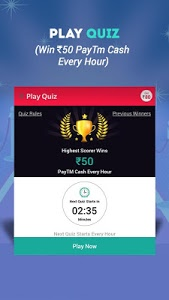 b) Playing our Contest: We run a daily contest that gives you an opportunity to win Paytm cash daily. The prize money varies from Rs. 100 to Rs. 1000 daily. A new contest runs everyday. 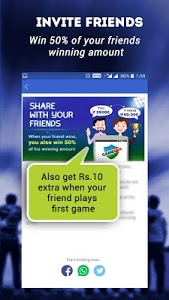 d) Using Flikk: Last but not the least, just use Flikk everyday and we will give you Rs.10 every 15 days, no hidden conditions - Use Flikk daily, that is it! 2. 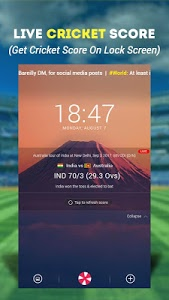 Live Cricket Score: Flikk gives you live cricket score on your lock screen so that you do not have to unlock your phone every time you want to catch up on a live cricket match. 3. 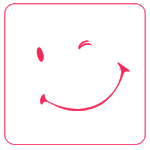 Live News Ticker: Flikk gives you India's first live News Ticker on your lock screen. Never miss an important piece of news as Flikk keeps you informed without you having to unlock your phone. The news ticker is available in two languages: English & Hindi. 4. 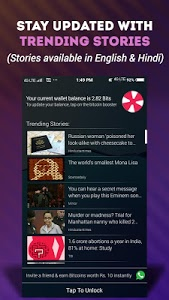 Trending Stories: Love the News Ticker, but still want to read the latest trending stories in details? We got that covered as well, just swipe right on your lock screen and read the latest trending stories in details, right on your lock screen. 5. 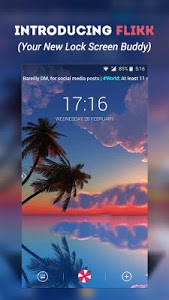 Cool Wallpapers: Well, don't be a bore no more! Choose a new wallpaper everyday from an ocean of wallpapers that we provide you with! That's it! 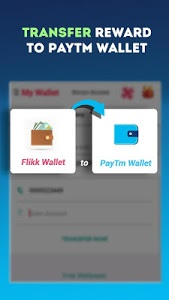 Flikk will transform your lock screen experience in just 3 steps & also give you ample opportunities to get free Paytm cash & mobile recharge. 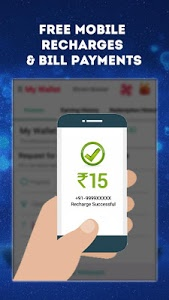 Similar to "Flikk: Free Mobile Recharge & Wallet Cash"